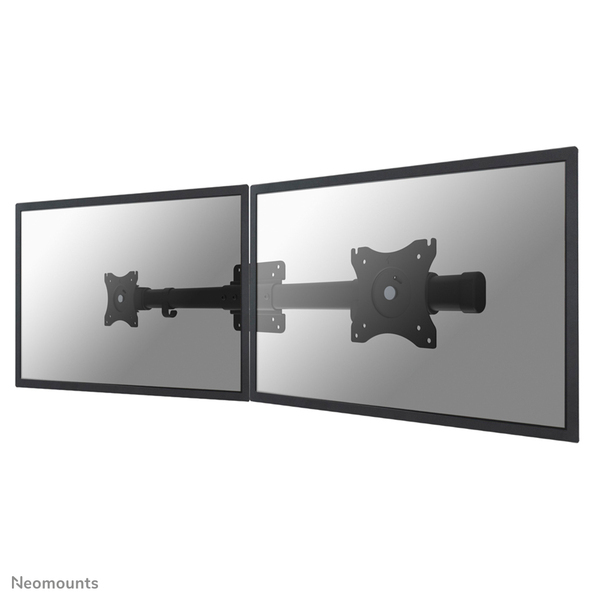 The NewStar dual monitor adapter, model FPMA-CB100BLACK is a twin screen mounting rail allowing two monitors/flatscreens to be mounted on one flatscreen mount. Slide screens from left to right to fit side-by-side display. Provides independent screen adjustments and freely move the monitors along the horizontal rail without using tools.